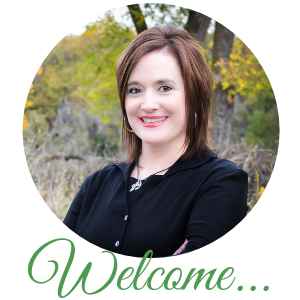 Lisa had invited contributors of her award-winning faith website to be part of the project bringing together 80 writers and a whole lot of prayer into one little book — a devotional that can be savored the whole year through. Blessedly, I’m among them. Not only have I come to respect Lisa’s work from afar, but I’ve had the chance to hang out with her up close. We roomed together at the 2012 Catholic Media Conference in Indianapolis (she’s second to left and I’m far right). So I know she’s the real deal — a great editor with a good heart and an eye for meaningful writing. It was a joy for me to work on my contributions. But the really fun thing about this is that while my small part will be included, I have yet to read the other contributors’ entries. 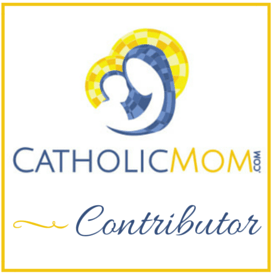 Which means only three will be known to me, and 362 will be a surprise — fresh reflections from fellow Catholic mothers that I, too, can savor. It’s both a gift from me and to me all at once, and, I dearly hope, a welcomed treasure for you as well. This week, a taste of what’s coming arrived in the mailbox. Day and National Popcorn Day. I’m so grateful for the chance to have this beautiful prayer companion to help lead me through the year ahead. More than at any other time, it seems we really need to be sustained by prayer right now. If you’re the type to get a jumpstart on such things, pre-orders are already happening at Amazon, so head over there to claim your copy. I’ll be giving away a free prayer book in the future, too, so stay near for a chance to win one. Finally, no prayer book would be complete without a whole lot of prayer behind it. I ask for prayer here often, and am always grateful for the quiet response — petitions brought graciously to the feet of the Lord of the universe. If you could spare one for this project’s success, the whole crew involved with this would be mighty appreciative. The gain for us is not financial, but spiritual. Q4U: What and/or whom companions with you most closely through your spiritual life? Roxane, what a wonderful surprise to see the release of this beautiful book coming so soon! It sounds wonderful and I can’t wait to hold it in my hands. A prayer companion- its perfect! Congratulations- I’m so excited for you!